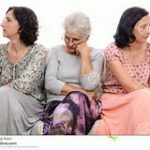 Eldercare: How to Avoid Sibling Discord | Don't Give Up On Them! This entry was posted in Enhancing Life, Legal, Medical, Nutrition and tagged Aging Parents, Better Health While Aging, conflict, Dr. Leslie Kernisan, Eldercare, family tree, geriatrician, mediation, podcast, siblings, stress by jsimpson. Bookmark the permalink.